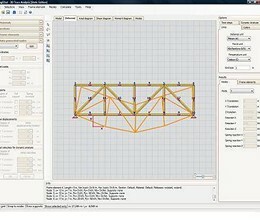 2D Truss Analysis is a powerfull application which uses optimized finite elements (bar elements) in order to perform static analysis of trusses. Its versatile interface as well as its easy customization make it a leader-product in truss analysis. 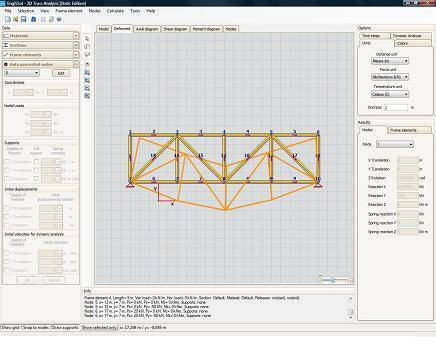 * 2D Truss Analysis download link provides demo version of the software. 2D Truss Analysis has been rated 4.8 out of 5 points. A total of 29 votes cast and 0 users reviewed the software.